Life in Israel is the embodiment of the duality and contradictions of the Jewish condition. Elu v’Elu (these and these). Sweet parsley dipped in salty water. Breaking a glass at a joyous wedding. Yom HaZikaron immediately followed by Yom Ha’atzmaut. As American Jews, we don’t live the Elu v’Elu on a daily basis, but I recently experienced it as my family vacationed in Israel for two weeks in June. I can still feel it actually: Sitting on the white, sandy beaches of Tel Aviv watching our kids play in the warm Mediterranean while a military cargo plane thunders through the sky and lands at the nearby Sde Dov airport. Enjoying a delicious dinner with the best Israeli wine in a hip, new restaurant while an Israeli friend talks about her six year old son’s newest neighborhood game — “Iron Dome” — a modern Israeli version of cops and robbers. Hiking along a peaceful stream in the Golan, exploring the foliage and admiring the wildlife, we hear several massive booms — sonic booms from Israeli F-15s on their way to a bombing mission in Syria. Watching a World Cup soccer match at one of the many outdoor beach cafes in Tel Aviv while at halftime we catch a quick news update on two katusha rockets that were launched from Gaza. And of course, after celebrating a friend’s daughter’s Bat Mitzvah in Jerusalem and with the sounds of “Siman Tov and Mazel Tov” still ringing in our ears, we see an Eged bus drive by with a banner on its side: Bring Back our Boys. Eyal, Naftali and Gilad, the three teens who were kidnapped and killed by Hamas terrorists simply for the crime of being Jewish and living in Israel. Israel is a country bursting with contradictions. Ancient synagogues share walls with modern Internet cafes in the Old City of Jerusalem. Orthodox women in long skirts wade in the water of Tel Dan alongside women soldiers wearing tank-tops while on their weekend break. Gay men proudly walk hand-in-hand on Ben Yehuda Street while an effort expands to prohibit women from riding side-by-side with men on certain bus lines in Jerusalem. Elu v’Elu. As American Jews, we need to do more to appreciate that sense of Elu v’Elu by intertwining our two cultures. That means first, we need to do more to bring Israel to the U.S. We must bring more Israeli art, literature and politics here. We need to import more Israeli music, movies, food and guest speakers. We should hold more festivals and bridging programs, and, of course, we need to learn more Hebrew. Second, we need to bring ourselves to Israel more, too. We need to help our community see how magical and complicated Israel really is. That means sending more adult groups to Israel, supporting teen trips and promoting Birthright. Israel is a country of both great joy and great sadness, and by experiencing in person the duality of life, we will help build a more real and meaningful connection to Israel. I deeply believe we are more likely to come away from our first-hand experiences with Israel loving the Jewish State even more because of her contradictions. And that’s the best way American Jews can embrace a little Elu v’Elu ourselves. 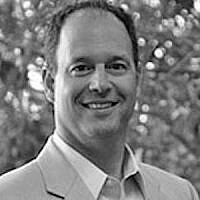 Zack Bodner is the CEO of the Oshman Family JCC in Palo Alto, CA. Prior to joining the JCC, Zack served as the Pacific Northwest Director of AIPAC (based in San Francisco) for 14 years. He lives in Silicon Valley with his wife and three kids.